The Company enters into this Agreement as principal for Bookings made for the hotel it owns and as agent where a Booking is made for a hotel that it operates on behalf of the Hotel Owner. The booking confirmation will clearly state the identity of the Owner. "Company" or "we" means AD Montana Biznis Krushevo whose registered office is at the Pitu Guli bb Street, 7550 Krushevo, Macedonia or its applicable group company. "Websites" means www.montanapalace.com or any other website owned or operated by us relating to a Hotel from time to time. The VAT breakdown shown is indicative based on the current rate of VAT, and the expected VAT treatment of the goods or services. &nbsp;VAT will be payable at the prevailing rate applicable at the tax point of the invoice or Booking confirmation issued, and may change depending on the actual rate and the VAT treatment of the goods and services purchased at that date. In the interests of security and to prevent fraud, at the time of check-in, guests may be required to confirm their identity by providing their booking reference and their passport/identity card/driving license. 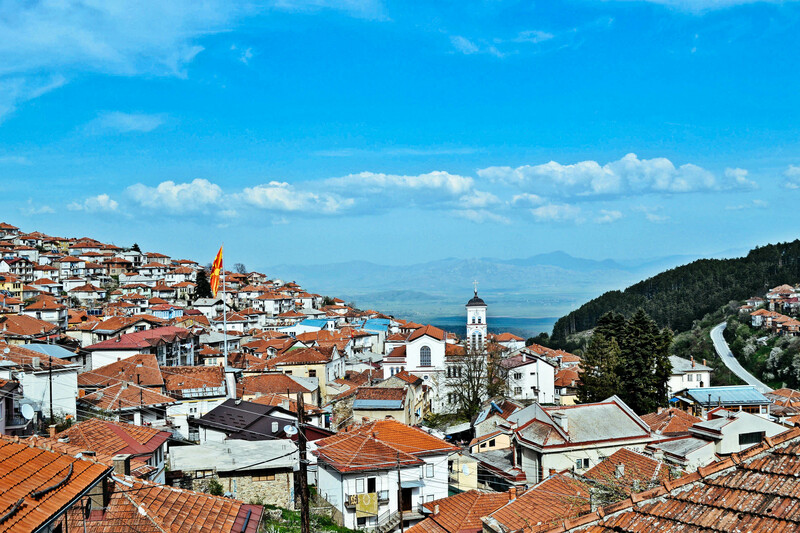 If guests are travelling from outside Macedonia we are also obliged by law to require guests to provide the number and place of issue of your passport/identity card. These records will be kept for at least 12 months and may be disclosed or made available for inspection by any police officer or as otherwise required by applicable law in connection with the prevention or investigation of crime. The information above may be requested for each member of your party over the age of 16 and we reserve the right to refuse entry to persons who cannot provide the information set out above. Unless otherwise stated on the booking confirmation, Guests may check-in at any time from 1.00 p.m. on the scheduled day of arrival. All rooms that have been secured by credit/debit card or prepaid at the time of booking will he held until 10:59pm on the scheduled day of arrival unless otherwise agreed directly with the Hotel. Any non-secured reservation will be held until 4.00 p.m. on the day of arrival at which time we will be entitled to re-let the room, unless the guest has notified the hotel of a late arrival. On the day of departure we kindly ask all guests to vacate their rooms by 11.00 a.m. (unless a later departure is stated as part of your Booking). Late check-out after this time is subject to availability and will be charged at an hourly rate at the discretion of the Hotel. We accept the following methods of payment: credit cards: MasterCard Visa; debit cards - Maestro, Visa/Delta and Visa/Electron. At the time of check-in we will authorize the accommodation charges (room rate, VAT and any service charge) and anticipated incidentals for the duration of your stay against your credit/debit card. We may also choose to accept a deposit in place of payment card authorization by another valid form of payment, including cash. During your stay the Hotel's system will calculate the incidentals charged to your room on a daily basis. If the cost of those incidentals exceed the authorization taken on check-in, further authorization will automatically be requested and if such authorization is not available, we may request another method of settlement or a deposit to be provided, failing which we reserve the right to restrict access to your room. For rates marked as "Flexible Rate" - These are cancellable without charge up to 2.00 p.m. local time seven days before the day of arrival. Cancellation and non-arrival charges apply after the relevant time and will be charged to the credit/debit card supplied at the time of booking. We reserve the right to charge for one night's accommodation per room booked if the above cancellation requirements are not met. Cancellation up to 2.00 p.m. local time one day before the day of arrival will be charged up to 50% of the total sum of the reservation or one night's accommodation per room booked, whichever is greater. No shows will be charged 100% of the total sum of the reservation, unless the client can prove that sufficient effort was made to contact the hotel, but had limited communication abilities. The company reserves the right to determine cancellation charges up to the amounts stated above, or to forfeit the cancellation charges completely. Dependent on your individual needs a selection of specifically designed rooms is provided at our hotel. Please contact our Front Desk on +389 (0)48 477-121 to discuss specific individual requirements and the availability of appropriate accommodation, and we will do our best to accommodate your needs. Guests staying in our Hotel may use that club throughout the duration of their stay. A condition of using the facilities is that you must comply with the club's rules, a copy of which is available at the club reception. Charges may apply for use of some facilities, please inquire at the Hotel for further details. There may be a charge and/or limited spaces available and space may not be available for the duration of your stay. Terms and conditions may also apply to car park use. Please contact the Hotel directly for more information. Cars and their contents are left at the owner's/customer's own risk. We do not accept responsibility for loss or damage (save as may not be excluded or restricted by applicable law). Guests are requested to conduct themselves appropriately at all times and to comply with Company procedures and/or requests with regard to conduct and respect for the property of the Hotel, its employees and guests and their health and safety. Guests are requested not to disrupt the comfort and enjoyment of other guests, the smooth running of the Hotel, or cause offence to other guests or our members of staff. We reserve the right to refuse accommodation or services or remove you and members of your party from the Hotel if, in our reasonable opinion, we consider this provision to have been breached. Where this is the case we shall have no obligation to refund you for lost accommodation, other services or any other loss or expense incurred. Guide dogs are accepted with prior arrangement, and other dogs may be accepted at the Company's discretion, but otherwise no pets are allowed at the Hotel. The Company will not be responsible for the loss or damage of any property left in the Hotel other than as required by applicable laws in R. Macedonia. The Company will not be liable for any indirect, consequential or pure economic loss or any loss of profit, goodwill or opportunity (whether caused by the negligence of the Company, its employees, contractor or agents or otherwise). The Company's total liability shall not exceed the value of the charges received by it under the Contract. Nothing contained in the Contract or in any other document referred to or incorporated in it shall be read or construed as excluding any liability for death or personal injury caused by the Company's negligence or liability for fraud or fraudulent misrepresentation. The Contract and any non-contractual obligations arising in connection with it are governed by Macedonian law. The Macedonian courts have exclusive jurisdiction to determine any dispute arising in connection with the Contract, including disputes relating to any non-contractual obligations. Each party irrevocably waives any objection which it may now or later have to proceedings being brought in the Macedonian courts (on the grounds that the Macedonian courts are not a convenient forum or otherwise).